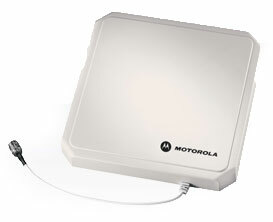 The Motorola AN480 antenna offers a low axial ratio that delivers a more uniform gain for superior performance. This single port antenna offers the maximum flexibility and performance required to meet the needs of enterprises around the world. Compatible in virtually any global market, Motorola's AN480 can be installed throughout the enterprise in manufacturing and warehouse floor environments or any dock door receiving application.